I thought I finish this series on parenthood with observations on the differences between the approach moms and dads have to their kids. As parents, Monica and I benefit from accepting, and respecting, the approach of the other parent. Daddy Day Care – below is a flowchart for how I manage the kids. As you can imagine, a trip to the bike park with Daddy involves a lot more action than swimming with Mom. I’ve managed to train Lex to laugh at the majority of her crashes. Lex can never call my bluff because I’m never bluffing. As a result, there’s a lot of stuff that I let slide and, frankly, I’m glad that Monica has her approach. We’re a good team. Quality Time – One of the things that I didn’t understand for my first few years as “dad” was why my wife gets so happy about the time that I spend with the kids. 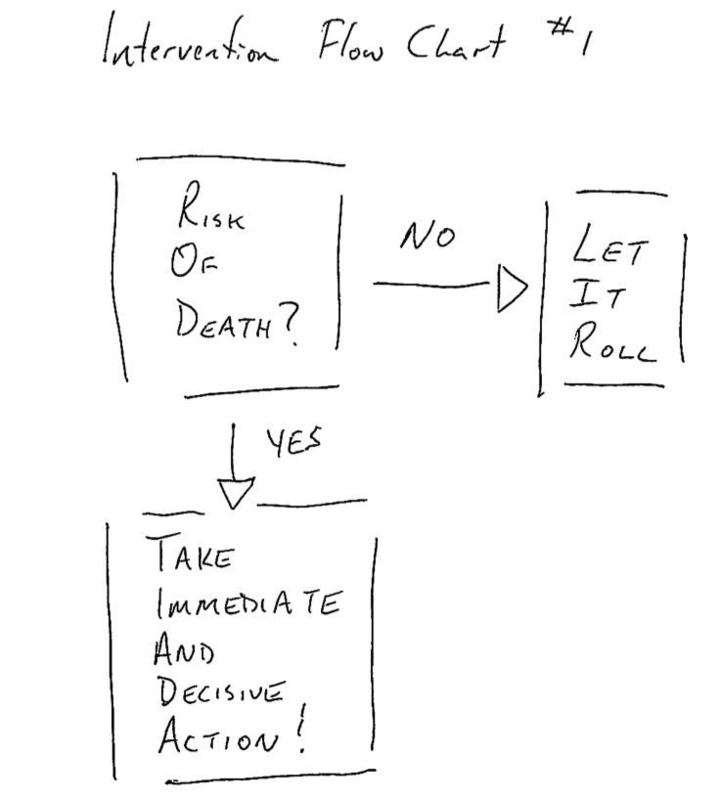 Given my flow chart, you wouldn’t be surprised to learn that my main concern when I’m not with my kids is that they are safe. A mother has an entire range of considerations that she’s making all-the-time about the kids. While I think there’s value in being able to switch off – Monica’s not wired that way. I’ve come to accept that one of the best things I can do for my marriage is spend time with our kids. Great news that Lex likes to ride! 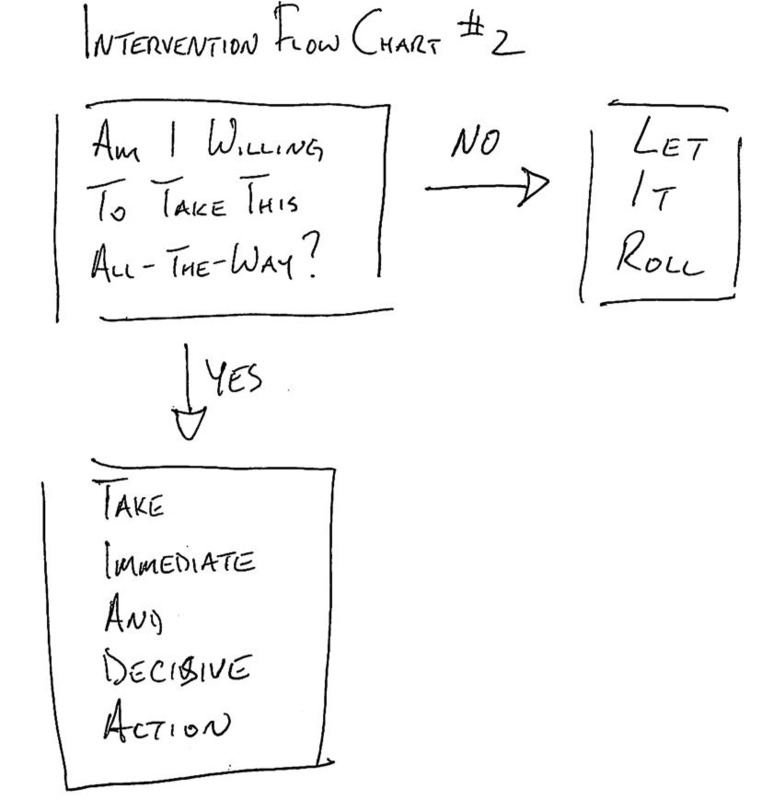 As a father, I see it as imperative that I keep myself in reserve in case a situation becomes serious and I need to step-up (see flowchart #1). While I don’t experience time-guilt emotions, I’m sensitive to the fact that they are very real for Monica. Recently, I’ve been stepping up with our daughter to get a double-whammy of quality time with her, while Monica spends time with our son. Be aware, however, that Daddy-Time is a distant second for many kids. I’m only effective with our daughter when her Mommy-Time needs are met and she knows that she’ll get a mommy-top-up later. I’m second in the hierarchy but that’s OK as I don’t need to be #1. Releasing myself from my need to “be right” has reduced my desire to change my wife and enabled us to find a parenting approach that works for both of us. I’m pacing myself for the long haul.